So I'm not much of a coffee drinker..... I don't drink coffee in the morning and usually don't drink it all.....maybe a cappuccino every few months. But I got into going to coffee shops to have a cappuccino everyday when I was in Thailand. I'm a bit hyper and it is hard for me to just relax and settle down. And going to the coffee shop everyday just set me in a mode to just slow down for the day. And man....are there some good coffee shops in Thailand! Very nice places, great cappuccino and great service! 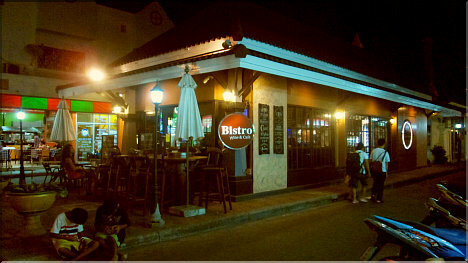 Especially the coffee shop next to the Hua Hin Hilton that has been there for ages. S&P that are in all those gas station stops along the highway are good also. My wife says they actually make very good food also.....but I've never tried. Also.....I only like drinking coffee out of a proper mug.....not paper cups. Last edited by PeteGill; 1st May 2016 at 04:10. There is a coffee plantation in Chiang Rai (Doi Chang?) which looks like a good day out. I'm not really a coffee drinker tbh but would still go for the scenery. Finally good coffee. When I first started coming in 2006 the good coffee was very difficult to find. So do you like it in Thailand now? Or haven't been there recently to have it? There are some good shops, yet it is really hit and miss for good espresso coffee. Over-heated milk and sweetened condensed milk are the common spoilers. Isn't the condensed milk more of the local Street coffee places? I know they load it up in those. Used in some of the chain stores and small shops also. they upgraded the road that goes through doi chaang a coupla years ago. it's become a popular diversion on the CR-CM route. nice little ride...ok in a car too. nice view point in the right season and weather..
Last edited by Moo Uaon; 1st May 2016 at 10:52. I'm a bit of a coffee snob the coffee in Thailand and the rest of Asia for that matter is rubbish. I drink those small short blacks, Cappuccino's and all those coffees with milk hide the crap coffee. When you drink it straight if its not good coffee its really not good. You can find a few good shops but very hard to find if your fussy. Did find a nice one in Chiang mai old town a few trips back. When in Thailand I rather drink the black ice coffee. I can thoroughly recommend the "Black Canyon" coffee shop in Jungceylon Phuket. Near the back, just past the Irish pub. Went there most days last trip (2015).